Running in Riga, Latvia. 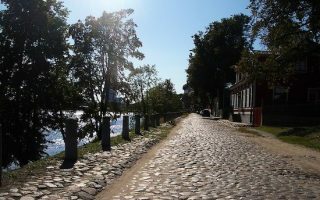 Best routes and places to run in Riga. The largest city in all the Baltic States, Riga, Rigalies on a sandy plain along the Daugava River. 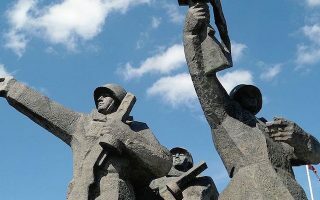 After a tumultuous history of Nazi invasion and Soviet occupation, Riga has emerged as a cultural center of the Baltics, especially theater. 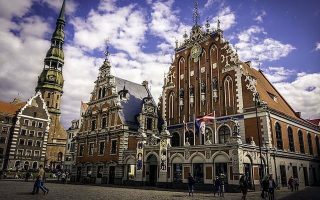 Also renowned for its Art Nouveau and wooden architecture, the UNESCO World Heritage Site of Old Town Riga attracts well over a million visitors annually. Running in Riga is a delight for its parks, interesting architecture, and views along the Daugava River. 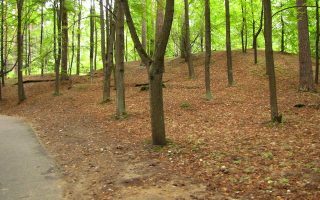 One of the best places to run in Riga is a three park loop around the Pilsētas kanāls. 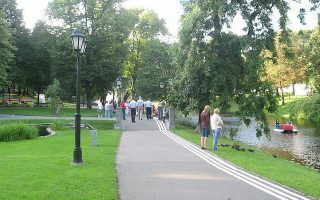 We also enjoy the Daugava river path, on the east and west sides. We’ve also put together or take a “runseeing” tour of Old Town. Just north of city center, the Mezaparks neighborhood features wonderful paths and pretty homes. For a fun destination run, head west along the 13 km multi-use path leads to the beach town of Jurmala. 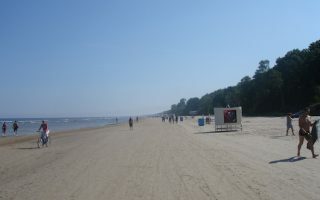 Jurmala itself is great for a run, with pretty streets and a runnable beach. 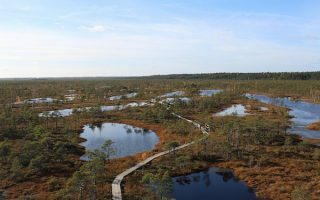 For an adventure, head to the huge Ķemeri National Park, which has a great variety of running options. Getting around Riga is a cinch, since the city is compact and walkable. The extensive public transport network includes tram lines, trolleybus routes, and additional buses. Most of our routes begin close to city center, so you can run to the starting points or combine paths for maximum mileage. Note: Titls=Bridge, iela=street. 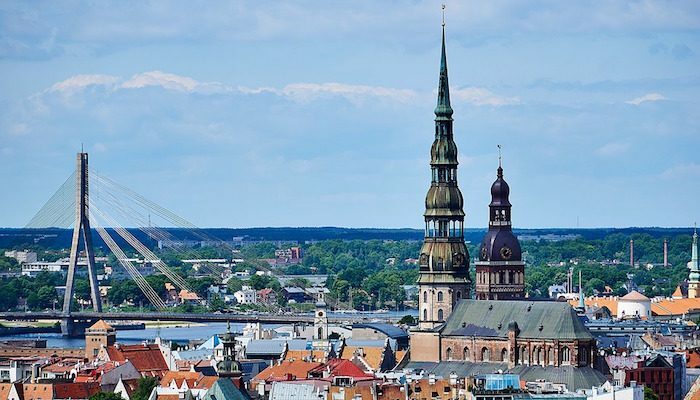 See the top sites in Riga’s historic center with this 7 km tour of parks, architecture, and the path along the Daugava River. Due to its central location, this course easily links to other routes. Explore Riga’s former moat, the Pilsētas kanāls, with this loop around four of the city’s most central parks: the Esplanade, Kronvalda, Bastejkalns, and Vērmane Garden. A scenic run on the stone paved path offering water views and sights including Riga Castle, the and the TV Tower. East Bank is 3.2 km between Vanšu Bridge and A8 Bridge. West Bank add-on is 3.2 km, includes National Library. A wonderful 12 km exploration of the West Bank, packing in a lot of variety! Riverside path along Ķīpsala island, Victory & Arcadia parks, path to AB Dam, and two bridges. Though the monuments at Victory Park are controversial among locals, this wide open space can be combined with the paths of Arkādijas park to the south for loops up to 4 km. 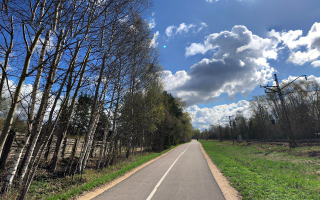 One part park, one part incredible residential neighborhood for summer homes, Mežaparks offers miles upon miles of quiet paved paths for running. A loop around is about 6 km. Head west from Riga on this paved, 13 km multi-use path to the beach town of Jūrmala. Options to extend route into downtown Jūrmala. Run as an out and back or take the train one-way. Some great running in this resort city on the Gulf of Riga. Long, wide beach has firm sand and is great for running. Dzintari Forest Park, and several tree-lined residential streets in the center and in the neighborhood of Pumpuri are also recommended. A large national park about 45 mins. by car from Riga. Terrific running opportunities here, from a 3.5 km boardwalk to trails through dunes, around a lake, in forests, and the town of Ķemeri. We provide our top recommendations. 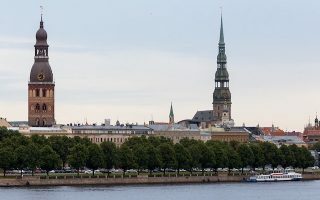 Riga has mild summers and cool to cold winters. The weather is influenced by the location on the Gulf of Riga and Baltic Sea. In summer, average high temperatures are in the pleasant 21-22C (low 70s) range, with cool nights (12C, 54F). Fall is very pretty. Winters are cold but not frigid, with highs near freezing (-2C) and lows in the -8C (high teens) range. Runners should be prepared in winter, given the temperatures and frequent snow/ice. The sea influence also means it can be damp. It’s also windy in Riga. Hotels in Riga are primarily centered around Old Town, with more economy options spilling over to the west bank of the river. See Latvia.Travel for accommodation listings. Running stores and group runs are somewhat sparse in Riga, but WeRunRiga, a Nike group, occasionally hosts events. Riga holds an annual marathon/half-marathon, as well as a variety of other races. See marathons.ahotu.com for more events.